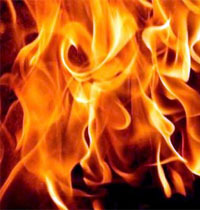 Burn Injuries Category Archives — Massachusetts Injury Lawyer Blog Published by Boston, Massachusetts Injury Attorneys — Breakstone, White & Gluck, P.C. For many of us, Fourth of July celebrations start with a barbecue grill. Many are powered by a propane gas tank and require special care in handling. Propane is an invisible, but highly flammable gas which can trigger an explosion if it leaks and comes into contact with fire. When grills are not properly used or maintained or are left unattended, accidents can occur. There are several safety concerns associated with grills, including propane leaks, cooking burns and fires. 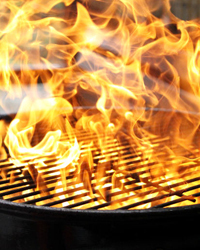 In the last year, there have also been a few product recalls involving grills. Protect your propane gas tank from leaks. Take care when transporting it to your refilling station. Place it in a secure box and return it immediately home after filling it. Have it inspected annually by a qualified professional. Store the propane gas tank outside your home. Also keep it away from your garage or any deck attached to your home. These areas may seem safe to use because they are not living areas, but according to the U.S. Fire Administration, more than half of all residential grilling fires in the U.S. begin on porches, terraces, exterior balconies and similar areas. When grilling, the safest solution is to stay outside your home or apartment building, as far away as you can. This protects your home as well as your guests and young children who are too often victims of grilling burns. According to the National Fire Protection Association, children under age 5 accounted for about one quarter of all thermal burn injuries in 2007. Many of these burns occur when children are curious and touch or bump up against the grill. If you live in an apartment building or multi-unit dwelling, you may also want to check with your property manager and city and town offices for additional information. Massachusetts state law does permit use of propane grills on first floor porches only, but some cities have gone a step further. For instance, the city of Boston does not permit either propane or charcoal grills above ground floor porches. Grilling on rooftops is not permitted either. Before heading out to the grill, review the manufacturer’s instructions first. If you no longer have the instructions, check if they are available on the manufacturer’s website. Use long-handled grilling tools and avoid wearing loose clothing. Work neat and remove grease and fat build-up from the grills. Finally and most important, never leave the grill unattended. If you need to step away for a minute, finish up your cooking and turn the grill off. Check the Consumer Product Safety Commission and your manufacturer’s website to see if there have been any recalls involving your grill. When a grill is recalled, you may be asked to return it to the manufacturer or retailer for a refund or be given instructions to replace a part. In April 2012, more than 87,000 gas grills sold in the U.S. were recalled by One World Technologies, and another 1,400 in Canada. The company offered consumers a replacement regulator after receiving 569 reports its grills were leaking propane gas. The defective grills were sold at Home Depot stores nationwide and Directory Tools Factory Outlet stores from March 2011 through February 2012. No injuries were reported at the time of the recall. Another recall came in November 2012, when 37,000 Master Forge Gas Grills sold at Lowe’s Stores were recalled due to fire and burn hazards. In that case, consumers were asked to contact the manufacturer, Guangdong Vanward Electric Co., Ltd., of China, for revised instructions and a warning label that showed how to properly install the hose and regulator. At the time of the recall, the manufacturer reported two reports of hoses melting and rupturing, but no injuries. The defective product was sold at Lowe’s stores nationwide from November 2011 through May 2012.